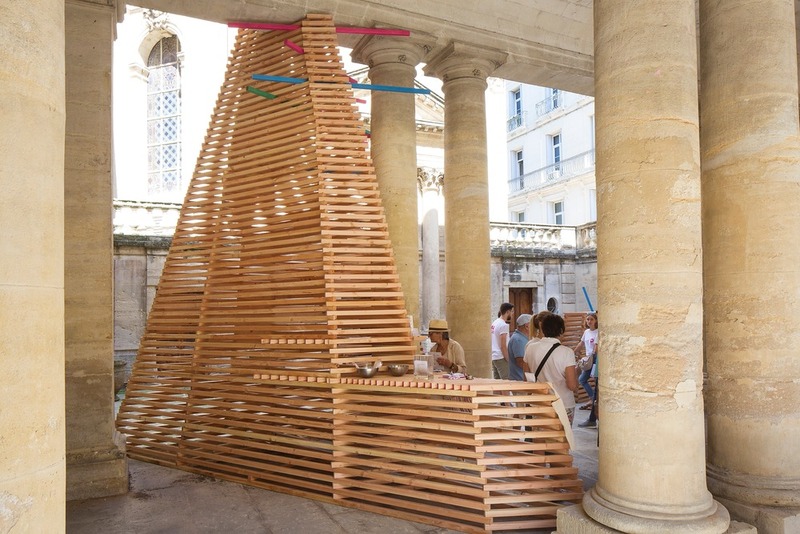 The Festival des Architectures Vives and the festival Passages Insolites from Québec were selected by a French-Québec permanent co-operation commission led by the French Consulate in Québec City and the Ministry of International Relations and Francophonie from Québec, to carry out a co-design project. 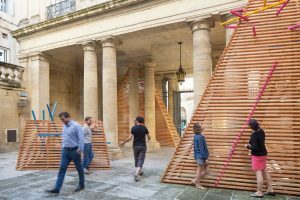 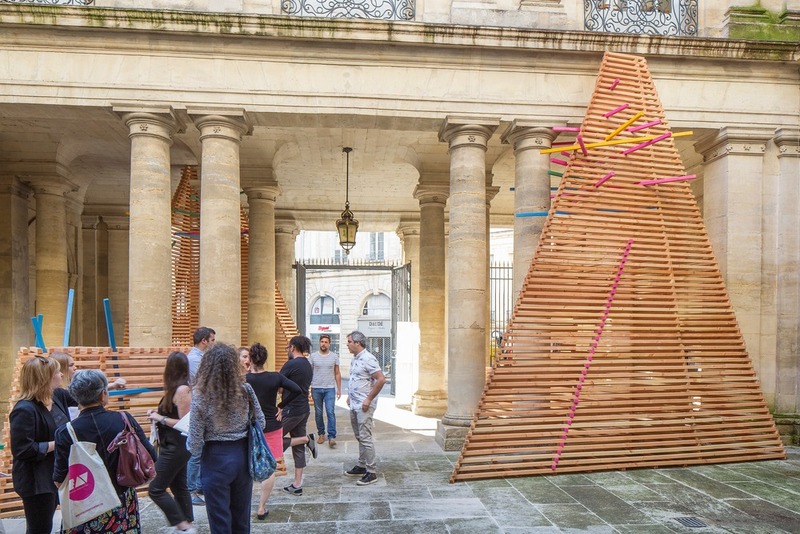 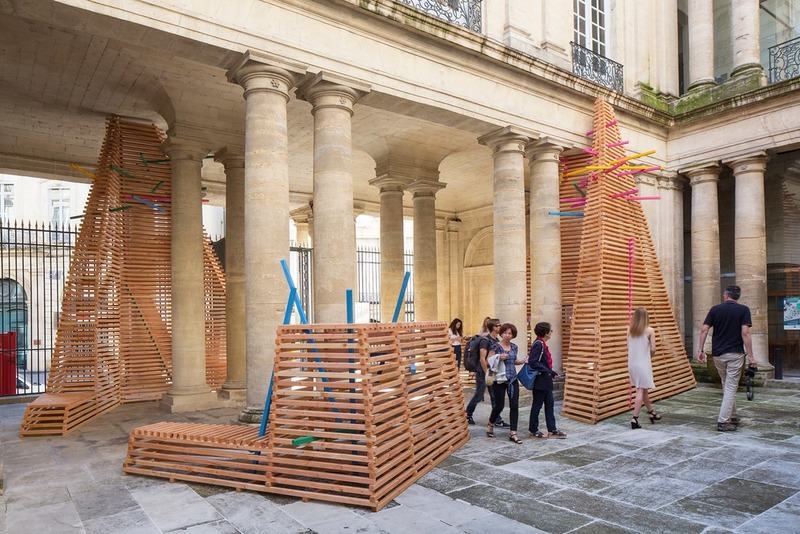 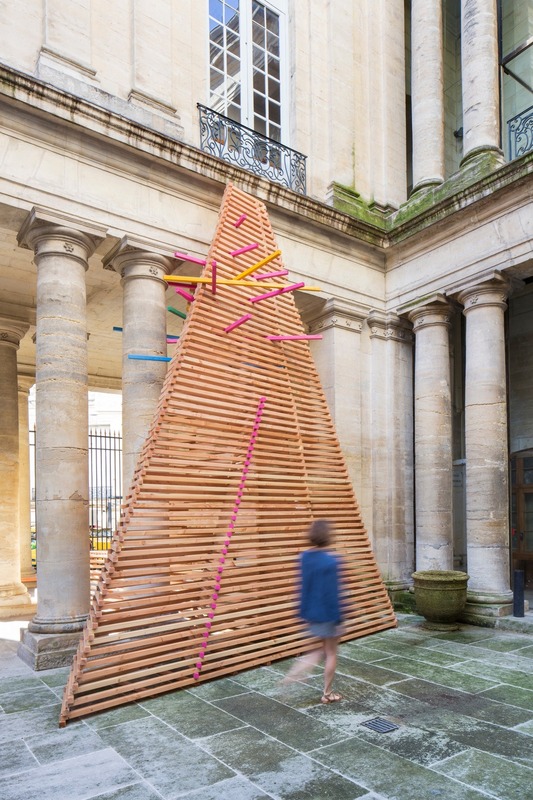 Back in September of 2017, the group Atelier Vecteur, comprising French architects Coline Giardi, Thomas Dalby and Ugo Elzière, together with artists Karole Biron and José Luis Torres, had the opportunity to design and build an ephemeral installation as part of the Festival Passages Insolites in Québec City. 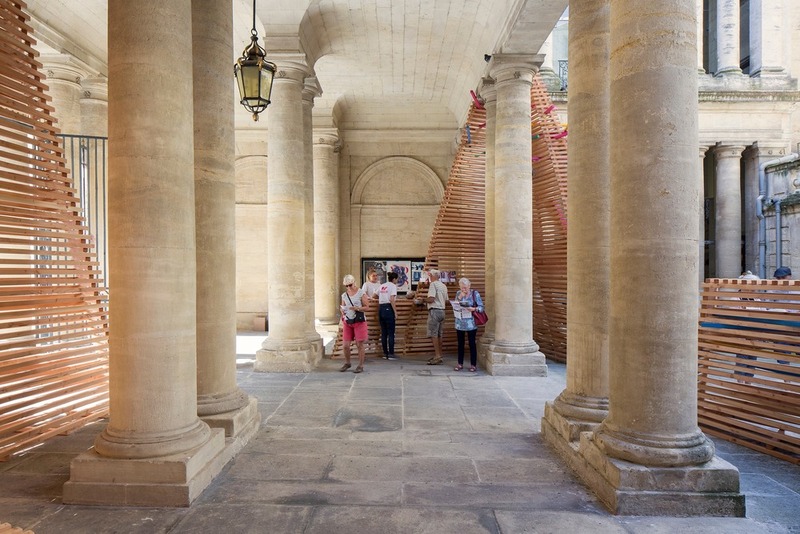 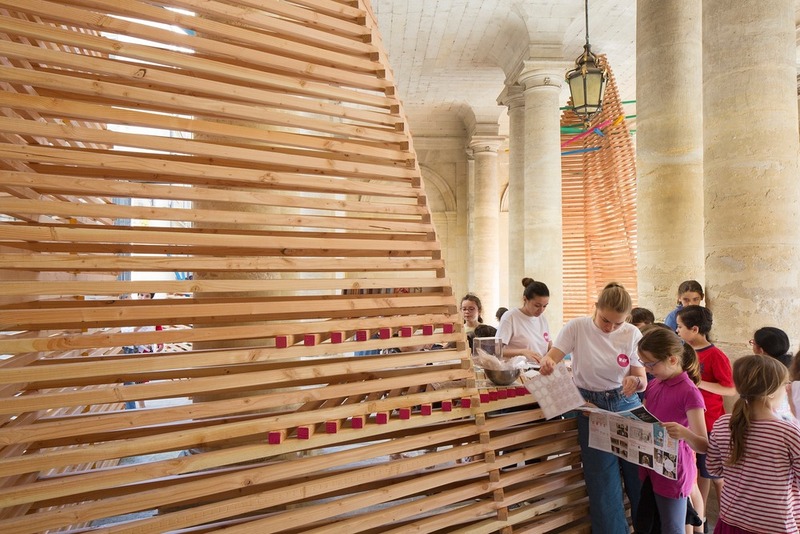 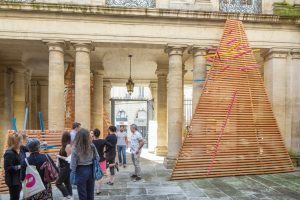 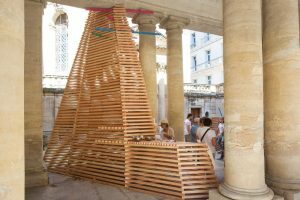 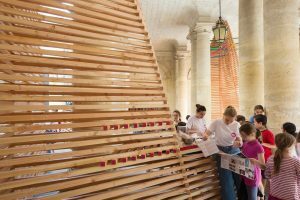 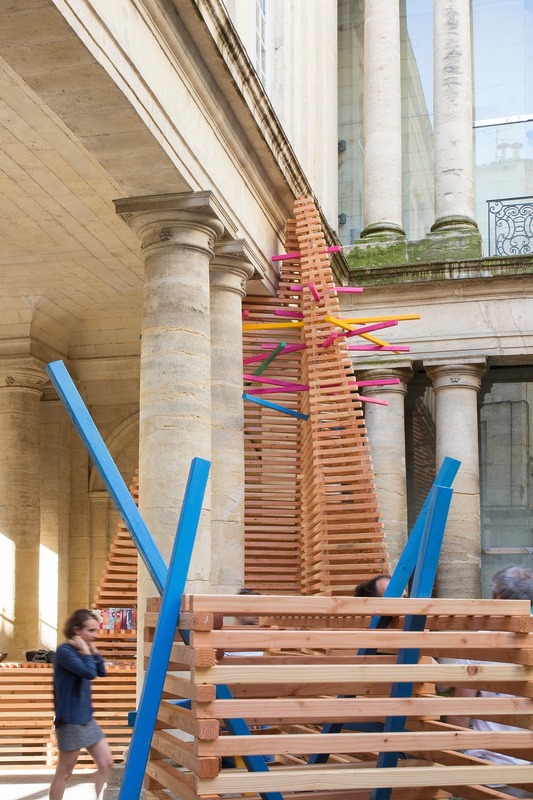 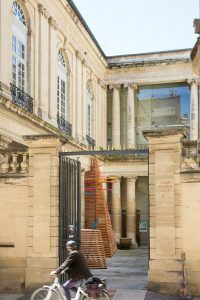 Now, they have been given the opportunity to repurpose the experience in Montpellier, France, this time by creating the FAV pavilion. 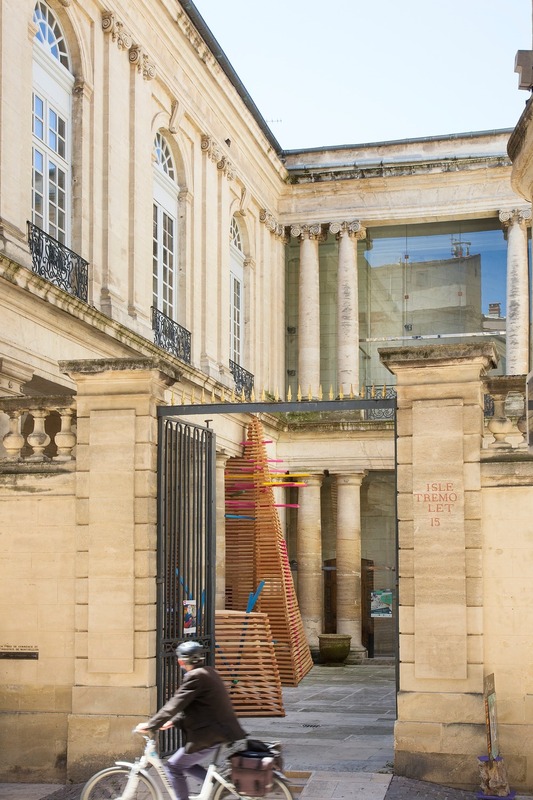 Called “Prisme,” their installation asks visitors to the St. Côme courtyard to take a new look at the urban environment through a reflection on the relationship between “inside” and “outside,” “visible” and “invisible.” The pavilion is an invitation to stroll, mystery, play and visitor interaction. It defines a space of exchange and communication. 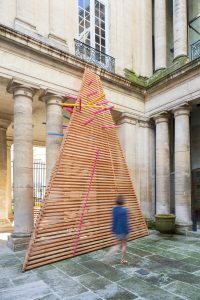 The raw wood brings a colour, a texture and a smell impacting the whole of the court, modifying it the time of the festival to better mark the visitors and to invite them to question issues of perception of spaces.